The Grivel G10 are C1 rated classic universal crampons, ideal for general winter walking use. 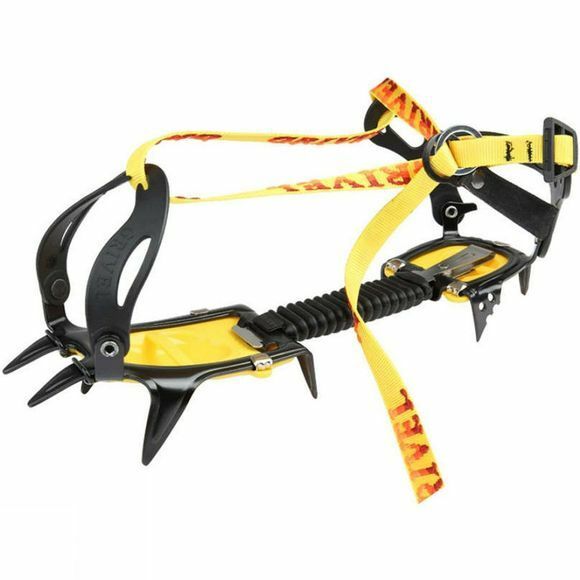 Created to be streamlined in design, with a semi-rigid, torsional design for holding, these crampons are perfect for ski touring, trekking, or for women and children, whose small boots don't require many points underneath them. The New Classic binding system is simple, reliable, quick and easy, making it ideal for first time users. Both the front and rear plastic harnesses are hinged from their respective retention posts and may be 'opened' to faciliate attachment to the boot, then closed securely once the boot is inside.